(Above) A mainly dry, and bright day. 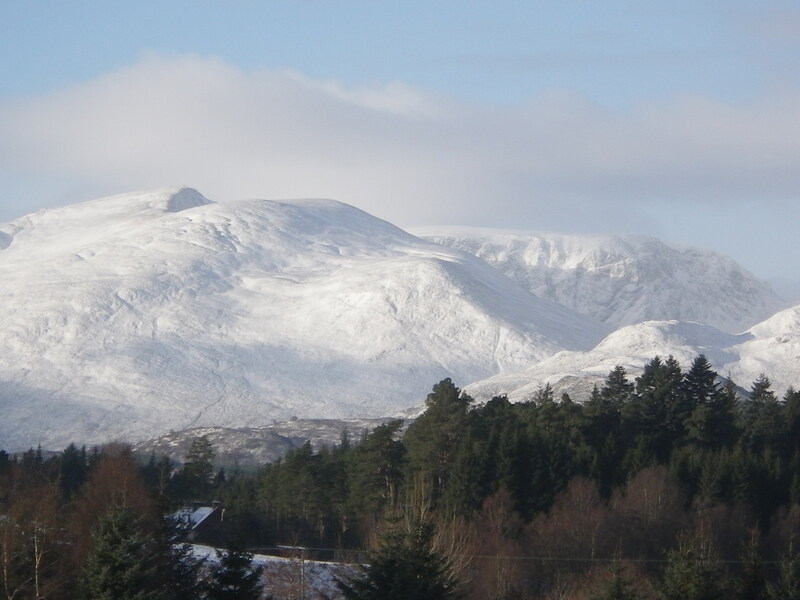 The Creag Meagaidh range now under a thin cover of fresh snow from overnight showers. 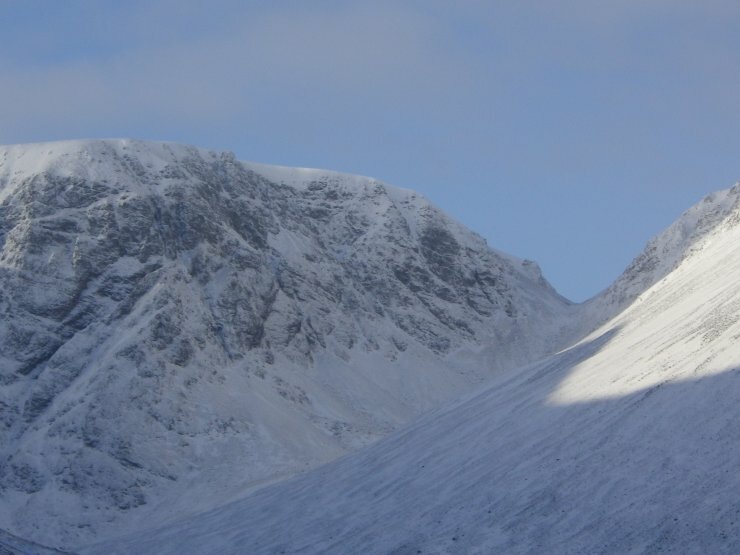 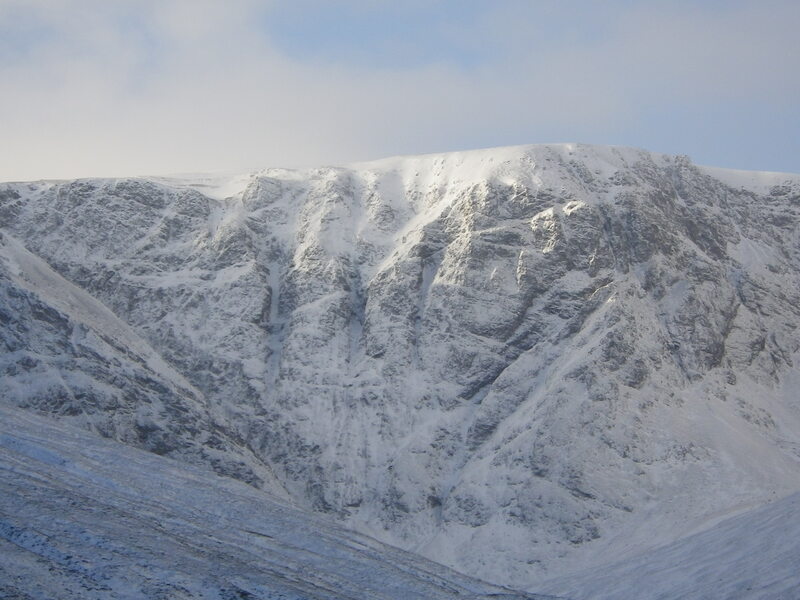 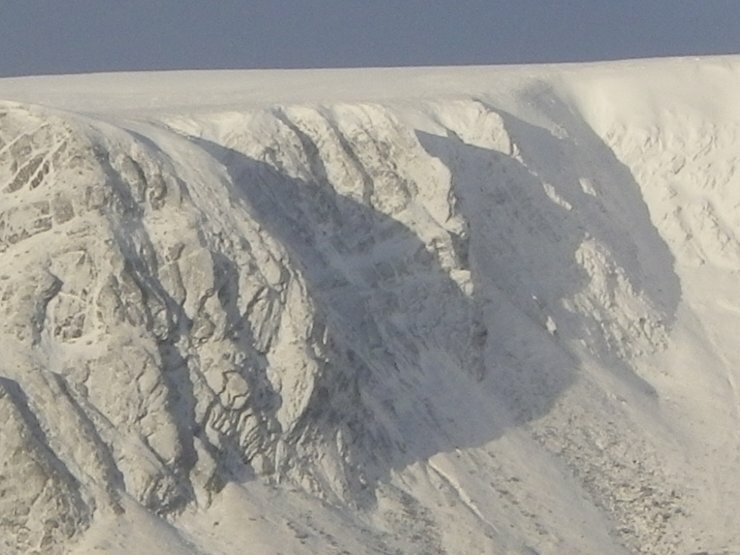 (Above) The Post Face of Creag Meagaidh – looking wintry but all lines are very thin.